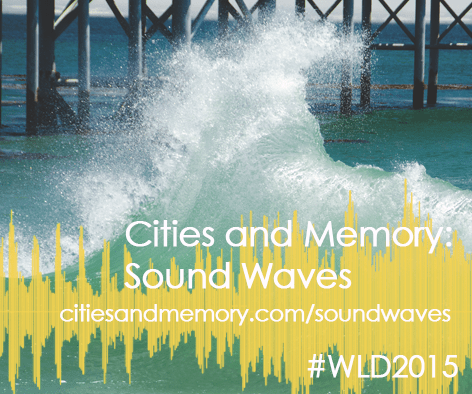 Sound Waves is a project by Cities and Memory that forms part of World Listening Day 2015. It celebrate and builds on the World Listening Day theme of water by presenting a collective reimagining of the sounds of water around the world and the role it plays in our lives. A total of 38 sound artists from around the world have submitted a field recording and reimagining of water somewhere in the world: ocean, river, lake, stream, swimming pool, boiling kettle, splash of a puddle – anything in which water is the defining sound. Posted in Academic Music, Avant Garde, Composing, Composition, Experimental, Mark Taylor, Musicology, Original Music, Professional, Sound Design.Tagged academic music, Alchemy, Alchemy VST, Ambient, art music, atmospheric, atonality, Avant-Garde, B14, Birmingham, Chameleon Music, chilled, Cities and memory, composer, composing, composition, mark.